A caring mother risks losing her daughter to an aggressive form of cancer. Patient grows into a monumental indictment of the heartless bureaucracy that has Colombian health care in its grips. The camera films from three perspectives. One is a tripod at the end of a long white hospital corridor, a door to the right opening into the room where the daughter lies dying. The second follows the exhausted, limping mother, who time and again must trudge the endless corridors to pry life-saving medication from the system’s clutches, and spend hours in waiting rooms only to be sent back and forth once more. The third camera films close-ups of the loving mother’s face, as she cares for her child, talks to her, moves her from place to place, or just keeps watch. Director Jorge Caballero’s decision not to film the patient is an inspired one. The mother is a victim of the system, but first and foremost she’s a paragon of infinite patience who leaves everyone around her speechless. Una madre, Nubia, está a punto de perder a su hija quien padece de un agresivo cáncer. El filme narra la historia Nubia y su hija desde tres perspectivas. En la primera perspectiva, se observa a la hija de Nubia sufriendo en el hospital mientras doctores y enfermas discuten sus deberes diarios. En el segundo plano, con el objetivo de salvar a su hija, Nubia lucha contra el sistema de salud de su país pasando horas en la sala de espera para conseguir medicamentos. Finalmente, se muestra a Nubia cuidando a su hija día y noche, un cuidado que el sistema de salud no puede ofrecer. No solo la hija de Nubia es la paciente sino también Nubia quien es víctima de un sistema que no funciona. 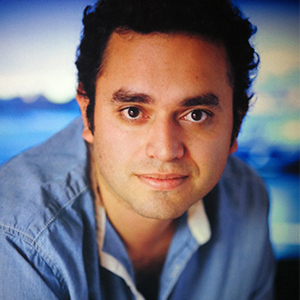 Jorge Caballero has a degree in Telecommunications Engineering and Audiovisual Communication. His is Producer and Director of Gusano Films, company based in Barcelona and Bogotá. He has developed several documentary films like Bagatela, Nacer, Mapa Mudo and Patient. He has received awards from prestigious festivals like BAFICI BuenosAires, FICG Guadalajara, Alternative Barcelona, Tribeca FMI, among others. He won the National Award for Documentary Colombia twice. Also, he develops interactive and transmedia projects like Speech Success, winner of Interactive TV Haiku Arte France and NFB Canada.